VOLUNTEERS are needed to check police custody facilities and the welfare of people held in detention. Independent Custody Visitors have the power to turn up to custody blocks unannounced to talk to detainees and make sure everything is operating smoothly. 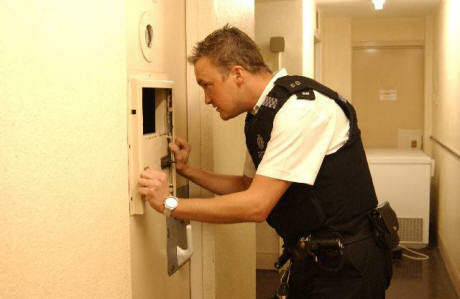 The scheme became a statutory requirement in 2003 and in Warwickshire last year there were 82 visits to custody carried out with no serious issues identified. Warwickshire Police and Crime Commissioner Philip Seccombe said: “Ensuring that people who are detained in police custody are treated fairly and that their welfare is given a high priority is hugely important for public confidence in the police. The fact independent observers can go in, at any time, and talk to detainees and custody staff is very powerful and helps me to hold the force to account in ensuring that high standards are maintained. Visit www.warwickshire-pcc.gov.uk/your-pcc/vacancies to find out more.